However, you could also be wondering how fiber internet can be used to transform your company's processes. What Will Your Business Look Like With Fiber? Many impressive applications of fiber internet discussed in the media offer little value in a business setting. Residential users cite enormous advantages in online gaming, or the ability to stream multiple HD videos simultaneously, which have limited value to businesses outside of employee break times. 82% of enterprise organizations currently have a hybrid cloud strategy, up from 74% in 2014. Cloud adoption is rapidly increasing. Private cloud or colocation agreements can allow businesses to cut hosting costs, while improving information security protection. Storing data or applications in the cloud can put a heavy demand on your internet bandwidth. If you are transmitting a high amount of data back and forth from your cloud location on a high-speed broadband connection, you could notice noticeable lagging, or latency. With an upgrade to fiber-optic internet connectivity, you gain the potential to move more and more of your data and apps into the cloud -- without noticeable slowing in your internet speed. Advancements in both cloud and internet speed technologies have already begun to transform businesses. Companies are saving money monthly on business communications by using voice-over-IP (VoIP) telephony. Email volume has been cut down by increased adoption of chat apps like HipChat or Slack for real-time communication. 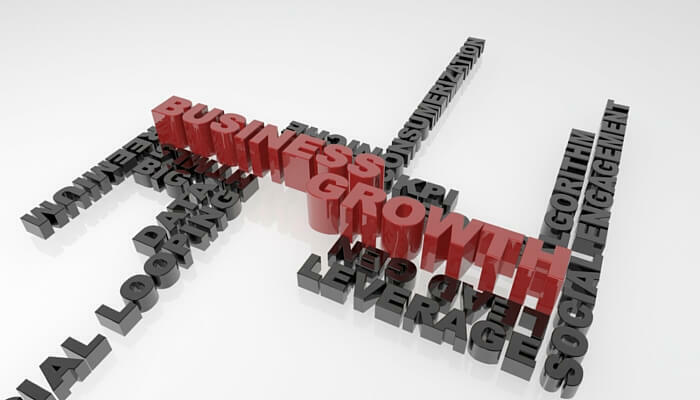 With fiber-optic internet, your potential to transform your business is truly unlimited. You can adopt new applications to streamline your business processes and enhance collaboration in time. Best of all, your ability to improve your processes will never be dictated by your internet technology with a fiber connection. Your employees are probably heavy mobile device users in their personal time. By allowing your employees to "bring your own device" (BYOD) or work from company-issued tablets and smartphones, you can increase satisfaction and productivity. Research by Telework exchange has found that employees who have access to mobile devices are more productive and more willing to "work from home" after hours on an as-needed basis. A significant percentage of today's employees would sacrifice their benefits package in order to work from home. Not only can offering a work-from-home policy allow companies to retain talent, it can also save costs on brick-and-mortar work spaces. The adoption of fiber-optic internet connectivity is allowing startups to increase their usage of HD video teleconferencing software, which has been the missing piece for some brands considering a work-from-home policy. By implementing fiber, you can increase your reliance on productivity and communication apps, allowing you to source the right talent for work-from-home roles from around the globe. In a competitive job market, fiber-optic internet can be the missing link to attracting and retaining top talent. Amazon was among the first businesses to offer video-based customer support among other options, including telephone and chat. Users can chat face-to-face with customer service representatives or engage in screen sharing, which is a helpful option for tech troubleshooting on devices like the Amazon Kindle. Brands in virtually any industry can streamline customer support and increase customer satisfaction by including video transmission as a standard customer support option. Being able to show-and-tell options for part replacement or other issues can lead to faster resolution and less confusion. The bandwidth and speed of fiber make this an option that's within reach, even for companies with a high volume of inbound and outbound customer service requests. The internet of things (IoT) consists of smart devices, which are transforming businesses into smart businesses. While these technologies have the potential to transform how you monitor and control your workspace, they require a lot of bandwidth to transmit data, which is best accomplished with fiber-optic internet connectivity. Technology can be a tool for transforming your business. Internet connectivity delivered over fiber can offer enormous speed and bandwidth improvements, which allows unlimited transformation of processes. From IoT-driven smart office buildings to flexible work environments, fiber-optic internet could be the missing link to future-proofing your organization. 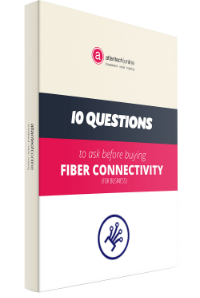 To learn more about Atlantech's fiber connectivity services for businesses, click here.